Come at me combat boots! If there is one thing I’ve been craving this fall it’s combat boots! In some ways I think they have replaced tall boots this season, I love the rugged look they give to an outfit and how they can be paired with so much. 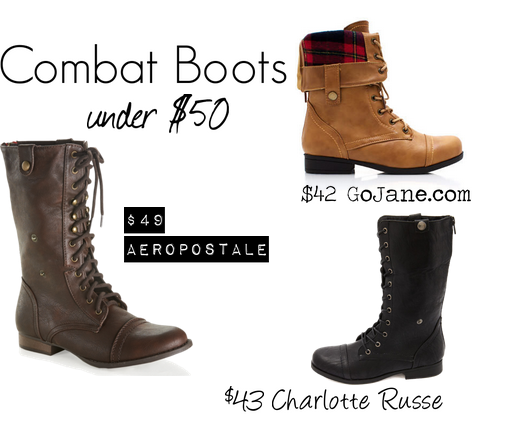 It’s also not too hard to find an affordable pair of combat boots. I’ve selected three above that are great finds under $50. So many retailers are offering great deals this fall for buying two pairs of shoes, one of the places offering these deals is Just Fab. They have a sale section where you can buy one pair and get another one free. Most of their styles are $40 or under…that’s TWO PAIRS of shoes for $40 bucks! You have to sign up to join and do a quick “style quiz” this helps them narrow down what you like and don’t like so they can send you a personalized boutique. I would say the site is certainly not for everyone but if you like having a personalized virtual stylist Just Fab is a no-brainer. Another great place is Charlotte Russe! Sadly, I don’t have one near me but they still offer great sales online. Pretty much every week they have a buy two pairs of shoes type discount. I’d recommend checking it out. In particular I’m in love with these combat boots that I can style two different ways. 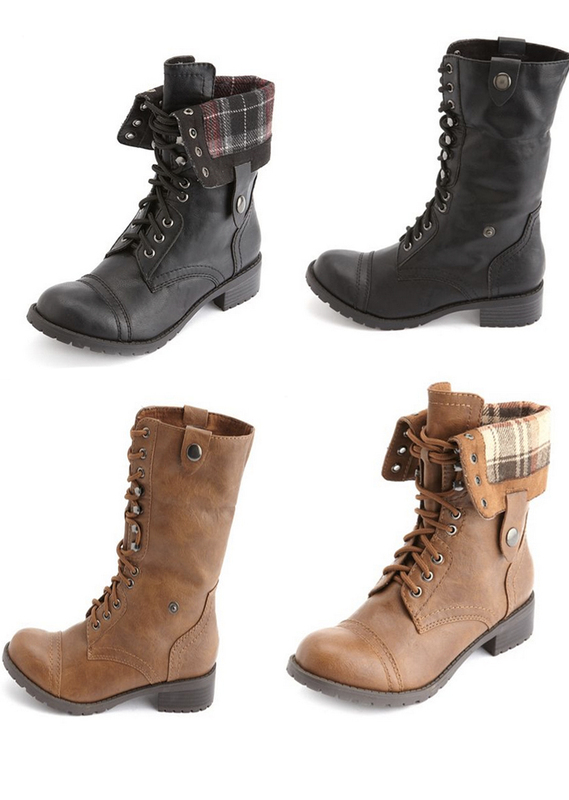 No matter where you get your combat boots, at the end of the day you’ll be making a solid fall wardrobe purchase! They go really well with tights, leggings, and knee high socks. A cute summery skirt can easily be repurposed to pair with the whole ensemble, just throw a sweater on it, and it makes a perfect fall outfit!